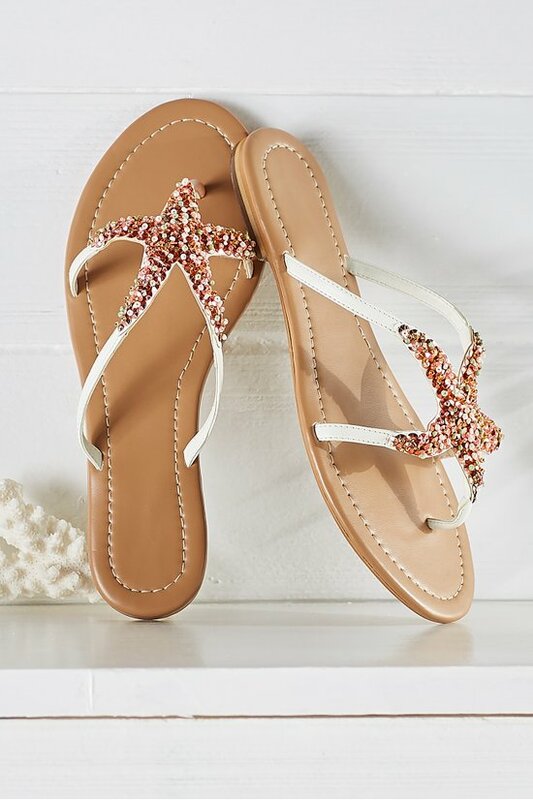 A generously sized starfish - shimmering with hundreds of hand-sewn beads and iridescent sequins - caresses your foot in equal parts glamour and fun in this fabulous thong-style sandal. Synthetic leather upper, lining and sole. 1/4" heel. 4" x 4" starfish. It's one of our summertime favorites, and you're sure to adore it, too.